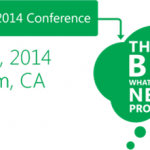 You are here: Home / SharePoint Conference 2014 Sessions are now posted online for free! Pretty amazingly, Microsoft decided to go the TechEd way and post the SharePoint Conference 2014 sessions for free on channel 9 under one week of the conference being over! Here are all the videos currently posted on channel9! However, before you check them out, make sure you share this with your followers on twitter so they can benefit as well! Cathy Dew and Jason Himmelstein discuss community leadership in a new era. Learn about Women in SharePoint, local user groups, the Community Leadership Board and what's happening in our vibrant community. SPCtv Getting Social in Local and State Government with Share Squared. John Honeycutt, Director of Sales and David Kruglov, CEO of Share Squared share their work using social and collaboration technology to help their customer share innovation and ideas. A peek into the 2014 SharePoint Conference and the vibrant community that makes it all possible. "The shift in our business, is the shift of the world. We are going faster and faster, moving to mobile." SharePoint customers tell us about their journey to the cloud and how, with SharePoint Online and Office 365, they are better prepared for the future and have the tools to able to be mobile, agile, and connected. People are more connected than ever before. The world has become a giant network, with people sharing, learning, and making decisions on the go at every second. What if you, and every person in your company could work together, like a network. Technology is evolving at a rapid pace. It has broken down barriers, connected the dots, and closed the gaps. It has brought the enormity of the world, to the palm of our hands. Technology is changing the way we work together. It is opening up new ways to connect in our personal and professional lives. We look to technology to help us find the information, the ideas, and the people, who really matter to each of us. So we can reach further, move beyond, and achieve more. Together. 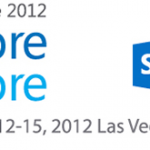 In 2003, the SharePoint Conference was born. This is an animated look at the incredible growth of the SharePoint global community and conference over the past decade. SharePoint and PowerBI are tools to land consistent, measurable value in your business but they can appear challenging. Join Sanjay Sonic, Dany Hoter, Yigal Eddy from the product groups and Noam Topaz from Microsoft IT discuss the roadmap for PowerBI and how Microsoft is implementing it's own journey. Habits are hard to break but the benefits outweigh the costs. Come hear how to break down barriers and overcome obstacles around implementing social within your organization. We'll share how you can be a hero in your organization by weaving the Yammer social into your company's every day. In this session, we will provide an overview of Office 365 Security, Compliance and Privacy. We will discuss how we ensure security, privacy and handling of customer data in Office 365. We will also discuss independent verification of the technological capabilities and best practices in these critical areas, how we enable customers to meet various standards and regulations and our approach to compliance and risk management. Expanding SharePoint usage and seamlessly connecting users is a great challenge.Â Users exist in multiple Active Directories, LDAP directories, Databases, and the Cloud.Â Full access requires logins across multiple IDâ€™s and may be impossible.Â Consolidating into one AD domain is a monumental task and often not a practical solution._x000D_ RadiantOne solves the SharePoint access challenge.Â RadiantOne aggregates and correlates users into a global unique list and rationalized views of groups across all identity silos.Â SharePoint accesses RadiantOne as a single source of user identities and group/role entitlements providing users access to all their SharePoint resources with a single ID. Want to edit Office docs on an iPad? Take files offline on your Android device or iPhone? And what about Macs? Whether you're on-premises on in the Office 365 cloud, accessing your work content on the different devices you use is possible. This session will show you how. Windows 8, Windows Phone, iPad, iPhone, Android, and Mac are all devices supported by a rich OneDrive for Business document experience. Learning which app to use and what its capabilities are can be a challenge. In this demo-heavy session, you will experience first-hand what SharePoint and Office have to offer on every mobile platform and how to take advantage of it all to be productive on the go. This session will also cover platform support for the OneDrive for Business desktop syncing clients. Come learn about how well Office 365 integrates with Dynamics CRM Online. This includes Outlook, SharePoint, Yammer, Lync, and Skype! This session will explore SharePoint's integrated analytics & search driven publishing capabilities and how to use them to provide a continually evolving, effective user experience. We'll show, via real demos, how to exploit the full power of the SharePoint 2013 search & analytics platform together with numerous Web Content Management (WCM) features in your internet/intranet site, including personalization, promotions, social, recommendations, content re-use across channels. Predictive Analytics is the hottest subject in BI. It uncovers hidden, yet valuable patterns in your data. For example, with a few clicks in Excel, and with the power of SQL Server behind it, you can discover which demographic characteristics drive your customers' profitability. Or, using a different model, you can judge the creditworthiness of a business transaction. Or, you can predict which sale is likely to fall-through, or even predict fraud, or churn. Or, with a powerful dependency network visualisation, you can find out which of your products are truly pivotal to your business, best of all, looking at them from your shoppers' perspectives. This session will start with an overview of the amazingly powerful Microsoft data mining client that is available, free of charge, in Excel. Afterwards, we will take a tour-de-force of the most important analytical techniques included by Microsoft, looking at Decision Trees, Association Rules, Clustering (for outlier detection), Sequence Clustering, and Neural Networks. No prior knowledge or experience is required, as everything will be explained. If you have always wanted to know what advanced analytics with data mining is about, attend this demo-driven session, and let Rafal share his extensive experience, and his infectious enthusiasm, for this lesser-known but hugely useful technology, for which Microsoft has even bigger plans in the near future. Come to this session to learn how power users can easily and quickly build SharePoint apps with a full SQL back end without writing any code. Youâ€™ll learn how to create rich UI SharePoint apps using Access with low to no involvement or impact from IT. SharePoint offers many choices to optimize database storage and performance using Remote BLOB Storage (RBS). However, the introduction of â€œShredded Storageâ€ adds an extra dimension of performance tuning and complexity. Weâ€™ve run through hundreds of test loads using a broad range of parameters to configure RBS and Shredded Storage in a wide variety of usage patterns and file sizes. There are HUGE performance gains to be realized by using non-default settings! So join us for a review of content database best practices and BLOB optimization in SQL with SharePoint. CommVault will discuss and live demonstrate Best Practices for Data Management in the heterogeneous environment. Special attention will be paid to Microsoft Exchange, SharePoint. Active Directory, SQL, Lync and File. CommVault will cover E-Discovery/Search for compliance as well tiered storage practices with regard to DeDuplication and Azure Cloud Storage. SharePoint 2013 and SharePoint Online change the landscape in many ways, particularly with its application model and cloud capabilities. From a business perspective, this makes the job of the governance teams more difficult and complex as these issues become key priorities (and areas of weakness) for the organization. This session is a strategic conversation around the elements governance teams should be most concerned with, from data ownership to creating the correct policies and social rights to security. Attendees will learn tactical strategies which can be used as soon as they return to the office. Windows Azure Active Directory is a service that helps manage identities and access to your software solutions. Whenever you own a valid Microsoft Office 365 tenant and a corresponding Windows Azure Active Directory service instance, you can create powerful applications federated with your organizational accounts and your Office 365 tenant, too. In this session, you learn about the architecture of Windows Azure AD. Moreover, you see how to configure Office 365 to leverage the Windows Azure AD service, and how to create either web applications/web APIs or native client applications leveraging this new service. To attend this session you should have a good understanding of authentication and authorization techniques in general, as well as a basic understanding of SharePoint Online in Office 365. Visual Studio 2013 introduces the Model-View Controller (MVC) pattern as an option for developing cloud-hosted apps. In this session, we'll present the process for developing cloud-hosted apps using MVC5. The session will first present the MVC pattern and explain its benefits. Next, we'll build a complete app using MVC5 and Entity Framework 6. Throughout the process, we'll focus on security, app identity, and interacting SharePoint 2013 workloads. Attendees will exit the session ready to get started creating cloud-based apps with MVC5. Implementing enterprise social in your workplace, or considering it to help drive business value? This session offers a strategic, candid overview of Cargillâ€™s experience since launching Yammer Enterprise in August 2012. The presentation will cover key elements fueling network growth, engagement, and success in the context of a global company. Weâ€™ll share the real-world challenges and lessons learned during implementation, including SharePoint + Yammer integration. At the core, weâ€™ll focus on culture change, governance and realistic measurements of adoption. This session will deliver straight talk and Q&A with a passionate, practical champion of the new world of collaboration. In SharePoint 2013, many no-code tools and technologies can be used to make elaborate applications and solutions. In this session, you will see the true power of tools such as Access 2013 Apps, Excel 2013 PowerView, SharePoint Designer 2013 Workflows, InfoPath 2013 and more! You will get a deeper understanding of how these tools are used in SharePoint 2013 to create robust end-to-end SharePoint applications. Plus, we'll also do a walkthrough of the no-code solution handbook and SharePoint adoption training kits. Let's get down to the nitty gritty. No one likes to plan for or hopes they ever need what comes out of strategy and preparedness meetings. But when they are needed and not there, it will usually be you who is working on the weekend. In this session we will walk through the top 5 issues we see at Microsoft Premier Services that can result in catastrophic consequences due to simple lack of planning. We will discuss tangible, walk-way preventative measures you can use to address them. SharePoint's storage architecture has evolved significantly over the past 12 years...learn where it's come from and have a better understand of its direction. In this session we'll overview the history of SharePoint storage and dive deep into Shredded Storage, what it is, what to consider, and how to plan to scale for tomorrow. Search enables you to discover and index content from many types of repositories using the out-of-the-box connectors (e.g. SharePoint, File Shares, Exchange Public Folders, Documentum), or the Search Connector Framework (e.g. database, OData, custom LOB repositories). In this session you will learn more about content ingestion and extensibility side of SharePoint 2013 Search. We will go into depth on the search content processing framework as-well as dive deep into the web services callout stage and demo how to do search content enrichment. We'll also cover techniques on how to build solutions that will scale to meet your customers production requirements. The Cloud conversation is spilling out of the corporate offices and making its way into your organizationâ€™s everyday conversations. Youâ€™ve heard the benefits. Youâ€™ve heard the warnings. So what is leading your team one way or the other? With headlines like Snowden, the NSA, Targetâ€™s data breach, etc. where can your business find its comfort zone in the cloud? Join CEO, Rob LaMear as he shares both sides of the argument and helps you find your organizationâ€™s tipping point. In this session you will learn how to enhance the value of your SharePoint solutions using Visio & Visio Services. We will show you how you can convert mundane data into smart shareable visual dashboards that update real time to represent the state of your manufacturing facilities and enable you to take corrective actions. Our experts will also help you understand how these concepts can be applied to many other scenarios through a series of demos and working dashboards. A great educational session for both partners and customers. The University of Washington (UW) is using SharePoint to answer the shifting challenges of IT as things move from "top down" to "bottom up." This session will cover lessons we have learned in the past and lessons we are learning now as we "look to the clouds" to host academic and collaborative solutions that bring real value to the diverse UW community of almost 140,000 people. In this context we will drill down to our experience of rolling out OneDrive for Business to academic, research and medical constituents. We will start this session with high level description of the University of Washington culture, constraints and drivers. We'll descend into more detail and share: our roadmap, implementation goals, HIPAA challenges, FERPA support and highlight some of the gotcha's and wins we have encountered along the way. Finally we will drill down into OneDrive for Business and demystify it's features and functions through hands on demonstration - as answering the questions "What is OneDrive for Business?" and "How can I use it?" have been central to our rollout and adoption by our community. This session introduces the messaging and communications services available through Office 365. Electronic communications are the lifeblood of modern organizations, but challenges with storage, compliance and anywhere access continue to trouble IT professionals. Exchange Online provides IT Professionals the tools to remain in control, manage the increasing volumes of information, protect business communications and deliver exceptional experience across any device. Lync Online provides real-time communications through presence, IM chat, audio/video conferencing capabilities and federation with Skype. Together these technologies allow IT professionals to deliver and manage a comprehensive communications implementation. SharePoint goes to school, goes to education. The Center for Advanced Technologies (CAT) is a magnet program within Lakewood High School in St. Petersburg, Florida. The students, ages 16 - 18, of the Network Systems Administrator Program have collaborated on a wide variety of innovative SharePoint-developed solutions that continue to improve the school's operational efficiency and promote student achievement; including SharePoint solutions integrated with Android, iPad, Windows Mobile and Windows 8 devices. See how the conditions were created that enabled high school students to deliver enterprise quality solutions built on SharePoint that made a real difference to the campus community. Hybrid is fast becoming the new normal for SharePoint organizations. The challenge is how to enable citizen developers and technical developers alike to build business apps that span cloud and on-premises and to ensure cloud doesnâ€™t become the next information silo._x000D_ _x000D_ In this session K2 will introduce a new no-code, cloud-based platform for creating workflow and forms apps that seamlessly integrate with SharePoint online, on-premises or both. With browser-based design tools, access to LOB data on-premises or in the cloud and zero infrastructure requirements, K2 removes the headache of online or on-premises and lets you focus on solving business challenges. Letâ€™s connect, transform and reimagine further by discussing the unique experiences and opportunities of women working in the field of technology. Get insights into professional development from our panel of "women in SharePoint" speakers and be inspired by their journeys as to what you can achieve. There will be time to network and make new connections while enjoying this special lunch. REST and OData are the foundation of data access in a cloud-based world. Office and SharePoint developers are well aware of the new RESTful endpoints available in SharePoint 2013 and may have already consumed some publically-available RESTful endpoints from the Internet. Many apps, however, will require their own RESTful service for accessing custom app data. In this session, we'll cover the fundamentals of creating custom RESTful services with WebAPI 2 and consuming those services in Office and SharePoint apps. Additionally, the session will present approaches for securing your custom services and accessing them across domains. Attendees will exit the session ready to build custom RESTful services for their Office and SharePoint apps. Today IT departments have an unprecedented opportunity to work with the business to change how people work and provide solutions that help get things done more efficiently, from anywhere and with anyone. As IT, how do you proceed to define these scenarios and ensure people can take full advantage of them? In this session, we will discuss the common use cases and best practices coming from successful customers, experienced partners, and focus groups that led to sustainable user adoption. Specifically, we'll discuss: 1. the top use cases that need to be solved and Office 365 and SharePoint 2013's capability to address these specific challenges, 2. the best practices and 3. the role enterprise social can play in successful adoption. Drive adoption within your own organization the way you desire - not by chance. In this session you will learn how to manage your SharePoint Online (SPO) environment in the browser (the SharePoint Online Admin Center) and by using the SharePoint Online Management Shell (aka, Microsoft PowerShell for SPO). We will cover numerous scenarios and demos for both seasoned SharePoint admins and to the new SPO admins. 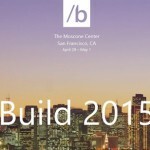 Are you wondering what developer sessions to attend this week? Start here. We'll power through every new SharePoint development feature with bite-sized demos and point you to subsequent sessions for a deeper dive. There will be plenty to cover, including several not-yet-announced capabilities you won't want to miss. Many "clouds" support SharePoint 2013. And these many "clouds" can be combined adding unique value based on your unique requirements. This session is designed to help ITI's and ITDM's find the right cloud formula to deploy based on practical business and technical considerations. You'll understand how to differentiate between private and public clouds, IaaS and SaaS, as well as hybrid scenarios with absolute clarity of the business benefits and the IT best practices. Information workers and developers alike want more data and more value from their existing Office investments. In this session we will focus on how the OData protocol connects a variety of servers and clients. We will build client applications that enable you to access and modify data in SharePoint and Power BI. We will build server applications that can be consumed by Power Query and Excel. Attendees will depart with a better understanding of how the OData protocol makes all of this possible, as well as a solid understanding of the current OData servers and clients. Managing cost-effective SharePoint customization projects and resources can be very difficult to do effectively.Â In this unique session, we will investigate the dichotomy of traditional SharePoint development cost and risk and compare it the amazing new advantages presented in SharePoint 2013 app model and the cloud. Workflow is evolving with the SharePoint Online service. Come to learn about new workflow features and scenarios available soon in SharePoint Online. Deliver new workflow templates to users and to customers for pre-built, integrated workflow solutionsâ€”from the Office Store or on-premises corporate catalog. Filter unique processes to their associated content types with new workflow activation rules. Remotely debug your SharePoint Online workflows. Anyone who builds or who uses workflows will leave with great ideas for improving their solutions. The Yammer Power User is the foundation of enterprise social networking, assisting their organization by strengthening engagement. This 'how to' session showcases advanced skills for creating groups and notes, managing information through the use of topics, bookmarks, notifications, and using Yammer apps. After 75 minutes, you will lead effective information sharing by nurturing a culture of powerful use of social in your enterprise. Are your SharePoint Online pages slow? Do you understand what knobs you have to tune the performance of your own pages? Do you know how diagnose perf on your pages? Do you ever wonder what kind of load SharePoint online can handle? Come for an in-depth presentation on SharePoint page perf. Weâ€™ll take a look behind the curtain to understand what happens when pages get rendered, what factors contribute to bad perf and how we tune servers in SharePoint Online to handle everything that you can throw at us. When should we use SharePoint out-of-the-box, add third-party apps or build custom solutions? Determining when to use SharePoint, build customizations that extend SharePoint, buy third party products, or to ignore SharePoint all together can be very challenging. It requires an understanding of SharePoint's strengths, weaknesses, and gaps as well as an understanding of how they apply to the business problems you are trying to solve. In this session, Richard Harbridge explores decisions other organizations have made, criteria they used to evaluate their options, lessons they learned, and how they approached these difficult decisions. Rolling out an internal social network looks like a deceptively simple exercise. In reality itâ€™s a major change management initiative. In this session I will go through my journey as an employee â€œYammer championâ€ and share my mistakes and successes as a non-manager who wanted to make Yammer work for a UK based nonprofit. I will also use examples from other organizations taken from my book Internal Social Networks The Smart Way. In the process map out a potential path that you, too, can follow when looking to make enterprise social the default communication and collaboration method in your organization. Want to know how to best take advantage of Visual Studio 2013 and the built in tooling to more consistently develop apps for SharePoint? In this demo heavy session we will explore the SharePoint development tools that come as part of Visual Studio 2013. You will see the first class support for common app features including the app manifest, lists, client web parts, remote event receivers, and more. Come learn how to develop apps using an Office 365 Developer Site and witness remote debugging of an event receiver - all without SharePoint installed on your developer machine! Projects and sales deals can be difficult to coordinate and execute across a large organization, even when all team members are in the same place and more challenging when they are not. In this session, learn best practices for creating groups and sharing content, and hear firsthand examples from your peers on how they are leveraging Yammer's social platform technology to identify and land deals, service customers and improve team collaboration around the globe. Your Enterprise Social Journey takes the willingness, cooperation, and support from many places. Whether that be Microsoft, Yammer, Partners, or people within your organization, changing the way your company works requires a host of support. Hear from a team comprised of a Yammer Customer Success Manager and Microsoft partner how they collaborated to launch a Yammer network for a global customer's employee base. Office 365 is an ideal business app platform providing a core set of services expected in todayâ€™s business apps like collaboration, presence and integrated workflows, and a central location for installing, discovering and managing the apps. Office 365 makes these business apps available where users already spend their time â€“ in SharePoint & Office. Visual Studio 2013 streamlines the way developers build modern business applications for Office 365 and SharePoint 2013 with the Office 365 Cloud Business App project. In this demo-heavy session, youâ€™ll see how developers can build social, touch-centric, cross-platform Office 365 business applications that run well on all modern devices. Learn best practices and patterns to build your next super-scalable SharePoint 2013 App. You will see how to pair the power of the browser and the cloud to build a SharePoint app that runs like a cheetah. We will go in depth on how the modern SharePoint 2013 app is built on Windows Azure, demo and learn how to manage the different mechanisms for scaling that are available to us, such as non-relational databases, cache, asynchronous API calls and queuing. You will take away code samples and guidance that will enable you to scale you next SharePoint 2013 app. From sketch to launch, this session will delve under the covers revealing the plans Microsoft followed to deliver a great looking, mobile friendly, engaging site for SharePoint Conference 2014._x000D_ We'll focus on design choices and best practices, development efforts, Azure deployment - for flexibility - plus showcase how Webtrends integration helped optimize the site and drive more engagement and awareness. Social collaboration is good for companies, but just how good? Interactions with people often create complexity that isnâ€™t as simple as numbers in a dashboard. Making sense of the dynamic world of social data often requires a combination of data on your network and knowledge of your people. Who is using the network? How are they using it? What is the context? In this session we explore quantitative and qualitative measures that demonstrate the value of social by defining a vision and talking directly to employees. Does your organization demand the toughest standards in security, scalability and service excellence in the cloud? Do you have data sovereignty and regional regulatory needs that govern your business? Do you dream of cost efficiency and service excellence? _x000D_ _x000D_ If you answered yes to any of these questions, then you must Join this session to learn why SharePoint Online is the #1 collaboration platform for enterprises. We will unveil brand new capabilities to further set new cloud standards in security, scale, transparency, control, cost efficiency and service excellence. _x000D_ _x000D_ Be ready to be pleased. Prepare to take a lot into your next planning meeting. And bring your toughest questions. You will see a SharePoint Online built to meet the most demanding requirements of enterprises throughout the world! Stanley Black & Decker (SBD) is known for hardworking, innovative, powerful tools, and we expect the same from our IT investments. We have been using SharePoint 2013 on-premises for over a year. We are in the process of rolling out OneDrive for Business for all our users in Office 365. This session will showcase the early decisions we made that led us great benefits of the Cloud and establishing a hybrid deployment model. We, too, are beginning to plan for Yammer Enterprise and will share early thinking, integration expectations and planning. Youâ€™ll get a chance to hear about our thinking and design process, see demos of our environment, and have a chance to ask peer-to-peer questions across the board. This session introduces IT professionals to the core foundations of Office 365, the economies of scale and richness of feature and scenario capabilities. Get an inside look at how the Office 365 team innovates and iterates on the service, how core operational processes are managed and team responsibilities that go towards delivering an enterprise class service. Finally, see the management tools and reporting capabilities that IT professionals can use to manage and control their Office 365 environment to best leverage their company's investment. Come join us for a sneak peek at Office Video, a new out of the box enterprise video streaming service for Office 365. Office Video is built on top of SharePoint Online and Windows Azure Media Services leveraging the power of the cloud to bring word class video streaming to your organization. Office Video is a next-gen portal that is simple, fast, and mobile. Come and see how your organization can benefit from Office Video. The success of your next SharePoint 13 deploymentâ€”whether on-premises or O365â€”hinges on users actually using it! This session highlights the importance of having an overall UX strategy and details how leading organizations are building attractive, lightweight, mobile-accessible solutions on top of SharePoint 13 using agile â€œUser Experienceâ€ (UX) methodologies. Having an amazing UX is a critical piece to this puzzle, but without a solid strategy, your â€œcoolâ€ design will be no more than that. When you build it right the first time, your users will find it easy, adopt it quickly and support the initiativeâ€™s success. Microsoft Office Web Apps 2013 is a crucial part of any SharePoint, Exchange and Lync on-premises deployment. In this session we will dive into the details of planning, deploying and operating your Office Web Apps server farm. Through a great number of demos we will create a new farm from scratch, make it highly available and then connect it to SharePoint and Exchange. We will cover aspects such as scale considerations, patching with minimum downtime and security decisions you have to take as a Office Web Apps farm admin. The answer is both!Â We are excited to present a new solution which lets SharePoint users work on documents and connect them seamlessly with an underlying SAP processes _x000D_ (think sales quotes, maintenance manuals, contracts, customer support documents etc. )Â The solution works both ways, connecting SharePoint content into an SAP business workspace, and presenting SAP data in the SharePoint UI.Â Â Cool, eh?Â And by the way, the solution also offers governance, archiving and records management capabilities for SharePoint to ensure compliance with long term information retention and destruction goals.Â Fully leverage your SAP and SharePoint investments by combining the power of both! Join Microsoft General Manager, Julia White, for an insightful examination of trends that impact business, productivity, and technology. Drawing from analyst and Microsoftâ€™s own research, Julia lays out the challenges and opportunities that face executives, decision makers, and platform owners. Look at the tipping point facing enterprises in 2014, and the critical decisions that leadership must make, and chart the journey ahead. This executive keynote-style session will be the perfect kickoff for the Executive Track of the SharePoint Conference, and the Executive Track team will highlight the valuable sessions, discussions, and networking activities that will help you maximize your time at SPC14. Over the last few years, the world has become a giant network, and social media has rewired the way we connect with people and information. To stay competitive, companies need to start to â€œwork like a network.â€ In this session, Jared Spataro will share Microsoftâ€™s vision for Enterprise Social and the future of work and explain the business and product strategies behind the approach. Jared has designed the session to be about half presentation and half Q&A, so come prepared with your questions! Panelists share their experience with:_x000D_ Business Critical SharePoint â€“ future-proofing SharePoint investments as they evolve SharePoint topologies through incremental migrations and maintain hybrid SharePoint environments, including multiple farms and Office 365._x000D_ Yammer - SharePoint and Yammer are changing how organizations work together. Learn how everyone can connect with the right people at the right time, create innovative ways to collaborate, and deliver remarkable new self-service applications through secure social connections._x000D_ Continuous Process Improvement - utilizing SharePoint in a sustainable way to stop accumulating technical debt. The strategic goal isnâ€™t just to get an application running - what happens next is critically important. Microsoft project & portfolio management (PPM) offerings are built on top of SharePoint and are available for both on-premises (Project Server 2013) and online (Project Online) environments. Join us to learn how you can deliver, configure and extend a project and portfolio management solution that aligns with your organization's business processes and helps deliver the intended business value. We will focus our demos on metadata, business intelligence, demand management and portfolio analysis configuration. _x000D_ Target audience for this session - Developers, Architects, Project managers, and Project/Program Management Office. _x000D_ PLEASE NOTE this session is NOT focusing on installation and IT configuration - we will point to relevant resources on TechNet and sessions from Project Conference 2014. Are you frustrated by the need to copy and paste data from multiple sources for analysis? Do you wish you could build a stunning and interactive visualization of your insights for that next important presentation in minutes? Microsoft and SAP _x000D_ have listened to the demands of our mutual customers and have an innovative solution to share with you! Join executives from Microsoft and SAP as they discuss and demonstrate the new way to seamlessly access and analyze data across the enterprise driving a single version of truth, instant productivity, and optimized business performance. Microsoft and SAP: Innovating for Your Success. SharePoint 2013 introduces new search architecture with many improvements for managing the aspects of a search deployment. In this session we will briefly review the new architecture and then demonstrate methods for troubleshooting the most common search related issues. These include stuck crawls, errors/warnings in the logs, content processing issues, and unexpected crawl and component states by diving into the admin database as well as common query processing failures including query load balancing and query rule tracing. Is your organization challenged with exploding growth of paper and electronic documents? Is your organization leveraging this content as a corporate asset while driving cost reductions and operational efficiencies?_x000D_ Learn how your organization can extend the power of SharePoint for scanning, searching, viewing and processing paper and electronic documents for many diverse business workloads.Â _x000D_ This stimulating session will demonstrate our full suite of solutions including new offerings for Cloud, mobile and line-of-business integration and also showcase how companies are implementing these tools to increase SharePoint user adoption and generating incredible results from their SharePoint initiatives. As more and more organizations embrace BYOD (Bring Your Own Device), many different browsers and devices need to access information in SharePoint and Office 365. No longer can you insist that users stick to a PC and Internet Explorer - they may not even have a PC! In fact, gone are the days you can even rely on a browser - users expect apps._x000D_ _x000D_ In this session we'll demonstrate emerging options for accessing Office 365 from mobile platforms. You'll see how using Office 365's REST APIs, native and web apps can access and modify your organization's information, and you'll learn how to use new developer tools and libraries for O365 and Azure Active Directory to build apps for the actual devices your users bring with them. The student, parent and teacher journey through school depends on transparency to progress and accessibility to information. The information in this case is student work and progress. Shireland developed a dynamic portal that adjusts with the schoolâ€™s timetabling system so that sites are provisioned and proper permissions are assigned. The focus of this session will be to both showcase the journey from a private SharePoint 2007 cloud into Office 365 for education. Youâ€™ll see how they take advantage of the external sharing capabilities for parental access, how they approached branding, community, social and tagging. Youâ€™ll also hear how they benefit from a unified experience across laptops, tablets, and mobile devices. The remainder of the session will highlight some of where they are extending their system building apps, increasing access of Office at home, furthering parental access, leveraging Lync and more. Lots to learn. Lots of questions to ask. If youâ€™re considering a move to Office 365, this session â€“ even if youâ€™re not in the education industry - will highlight much value on your own journey into the cloud. This session will discuss what consists of the Microsoft BI stack, which capabilities exists for BI on SharePoint and Excel Services on premises, and compare it to the capabilities available in the cloud offering of PowerBI for Office365. We will then propose ways to help you decide when to use the cloud vs. the on-prem solutions for your BI projects. Power BI for Office 365 delivers a broad range of compelling capabilities for turning data into insight. Power BI builds on the foundation of Excel and SharePoint Online to enable information workers and data stewards to discover, reshape, analyze, visualize, and share data â€“ whether that data is on-prem or in the cloud, public data or enterprise data â€“ enabling business insight and business impact without requiring IT involvement._x000D_ _x000D_ This session presents and demonstrates the capabilities of Power BI, and highlights its breakthrough capabilities for making the worldâ€™s data available to users across the business. If youâ€™ve been wondering how to empower your business to be more responsive and agile, and to free up your IT department to focus on strategic initiatives instead of tactical information management requests, this is a session you canâ€™t afford to miss. Find out how an organization with a 100,000+ user base is driving adoption of SharePoint 2013. Youâ€™ll see the chaos-to-clarity journey weâ€™ve taken from SharePoint 2007 to SharePoint 2013, learn how weâ€™ve reframed our governance strategy and get an insiderâ€™s look into our SharePoint Center of Excellence (COE). Youâ€™ll also learn how our internal SharePoint user group community and SharePoint Ninja recognition program have shaped our journey, catapulting us from being â€œjust another file repositoryâ€ to being the premier workflow automation tool people want to use. The Ninjas are rising. Since the initial announcement of Apps for Office, originally code-named â€œAgavesâ€, this feature of the Office Suite has been under emphasized and all too often overlooked. Apps for Office, mini applications that extend what you can do with the new version of Office, is a highly potent platform which is built into the Office Suite that can be leveraged to increase business productivity. _x000D_ _x000D_ During this session targeted to Business Decision Makers, we will take a look at what Apps for Office entails, how it can be used to add value to your business through real world scenarios, and understand what opportunities the platform can open up for your business to maximize your existing investment in the Office Suite. By the end, you will have learned how to unlock this powerful tool and immediately increase the productivity of your organization. Know your business. Know your business requirements. Know your users. And then introduce a new social fabric that up-levels your workforce inside and outside the firewall, cross device, cross platform. This session will focus on the strategy behind moving your entire organization from an informed user base into a daily-engaged, active community. Lines of communication can go top down, bottom up, and it all happens wherever, whenever. This session will teach you everything that you need to know in order to understand and maintain SharePoint Apps as an IT Pro. Learn about the different flavors of Apps, the underlying Apps architecture, how to configure an on-premises environment to support Apps and how to maintain Apps in your environment. Office 365 is continuously evolving service. It is important to stay on top of updates and new releases coming to the service. We have some exciting improvements coming on how we help customers manage change in the service. In this session will walk through the process of how we deploy and update the service and new capabilities. We will also discuss the communication processes and how you can keep informed of what is coming to the service. Are you confused by SharePoint licensing, and overwhelmed by the different SKUs and plans for SharePoint on-premises and SharePoint Online? Don't know where to look? Look no further. This session is designed to learn more about SharePoint and Office 365 licensing. Consider it Microsoft licensing 101 and a deeper dive into the different plans and licensing options for SharePoint. Enterprise Social is enabling organizations across the world to transform their businesses, to harnesses the power of their most valuable asset, their people, by connecting employees, customers, and partners. In this session you will learn about the value of enterprise social, Microsoft's vision and our latest product roadmap. The key to building a successful SharePoint 2013 environment is to ensure you are starting with the right requirements. In this session, you will learn how requirements impact design. You will then learn what questions are important and more importantly, how to get the answers you need. Plan it right and your users and business owners will thank you. A major business transformation is brewing in the enterprise today. Mobile technologies, business velocity, geographically dispersed and multi-generational workforce are converging to deliver the promise of responsive organizations. Organizations that miss this paradigm shift will face dire consequences. How can you effectively manage this shift, ensure that it will be sustainable and reap the benefits of being a responsive organization? In this session you'll learn how to apply practical steps and effective techniques to manage your multi-device and multi-generational workforce. In this session we will cover the brand new ecommerce and storefront solution built using SharePoint 2013 and Dynamics for Retail. This solution provides an ecommerce storefront platform that leverages SharePoint 2013's search driven adaptive online experiences with Dynamics for Retail to power scenarios around merchandizing, catalog management, pricing and promotion, order management and financials for an ecommerce site. Learn how you can implement compelling, adaptive commerce sites that increase revenue, drive site engagement, conversions, and loyalty and build ecommerce ISV solutions on the Dynamics and SharePoint platforms. This session will focus on how to develop on-premises solutions based on architecture patterns that will support migration to Office 365 in the future. These solutions are based on a shift to client-side development to allow repackaging rather than rewriting to enable the new App model. The result is code that is safer and easier to deploy, whether on-premises or in the cloud. This session highlights collaboration scenarios with SharePoint, Office Web Apps (Real Time Editing), Office 365 Pro Plus, OneDrive for Business, and numerous cross-device, cross-platform mobile scenarios. In this session we'll cover all mobile investments across Windows Phone, Windows 8, iOS, Android and the Web. Office 365, SharePoint and Yammer make it easy for users to remain in the social fabric of ongoing discussions, keeping up with the people and documents they need to work on. Learn how to leverage the power of the cloud to build dynamic, informative and engaging Intranet solutions with Office 365. Get real-world guidance and best practices for driving user adoption and engagement through powerful features like cross-site publishing, metadata navigation and search-driven content, along with proven techniques for custom branding, interface extensions, disaster recovery and lifecycle management. More documents than ever are being stored in SharePoint, including OneDrive for Business. Come and hear about the improvements we've made in SharePoint to help you meet your retention requirements more easily across all of your SharePoint documents. What was once 2007 is now 2013. In this session we will share all elements related to upgrade and migration - the differences in versions, core improvements, global deployment challenges and more. We, too will review the decisions made for hardware and network to round out the architectural requirements of running SharePoint 2013 at our scale. AKA, weâ€™re going to delve into the nuts and bolts of the backend - including the CDN integration, content management strategy, security, reliability etc.. The overall value of this session will come through assessing what AMD did do and what AMD chose not to do. In previous versions of SharePoint, creating customized search solutions often required developers or resources with deep search engine expertise. With SharePoint 2013, power users are now empowered to create compelling search solutions for their organizations._x000D_ _x000D_ In this dynamic session, you will get an introduction to the new tool set and a practical guide for using some of the more powerful search features in SharePoint 2013. Additionally, you will learn best practices from the field and discuss available customizations you can easily take advantage of to get the most out of search for your team sites, portals or across your entire organization. Donâ€™t miss this session and learn the 6 steps to getting the best out of search for your organization. In the past, it was very difficult for management and back office teams to connect with frontline staff to learn more about what customers were experiencing first hand. Then with the rise of mobile devices and social networks, everyone has a voice and something to contribute. Now, companies from around the world are empowering their frontline works using Enterprise Social to get feedback faster and become much more responsive organizations. In this session you'll hear about how these companies have done this and the advantages they are getting from tapping into this previously disconnected part of the organization. Come learn about the tools and approaches to build apps and solutions that integrate with OneDrive for Business. Yammer has distinguished itself as an enterprise social network on the inside of organizations, but its potential for engaging external customers, partners and vendors has flown under the radar... until now. Learn how Yammer's ease of adoption, powerfully interactive style of information sharing and governance tools combine with mobile accessibility and the power of the cloud to deliver, social, secure and world-class external collaboration! SharePoint for large scale records management - hundreds of millions of documents and beyond! Records management capabilities in SharePoint are enterprise grade, causing many customers to remove the additional cost and complexity of third party products. This session reviews the records management capabilities in SharePoint 2013 and SharePoint Online against real world scenarios of extreme scale. We'll go through the major design decisions behind the solution - in place vs. records center, creating file plans, retention schedules, document and site metadata and eDiscovery, etc.. We'll also share real world experience in delivering such a solution that attempts to keep both business and IT stakeholders happy! In just a few short years, we have seen some seismic shifts in how people create and consume content over the Internet. One fundamental shift is the great migration from the dominance of desktop computers to mobile devices such as smart phones and tablets. Users now have high expectations for web sites and content to be personalized, interactive, and easily available from any device and any form factor. These changes have fundamentally changed the nature of web design and development. One of the hottest topics in web design is Responsive Web Design (RWD). Responsive web design is a methodology, supported by new capabilities provided by CSS3 and HTML5, which will enable the next generation of web sites to provide the best user experience across a wide variety of devices and browsers. However, the complexity of RWD has a steep learning curve. In this session, we will start with an overview of what RWD is and why we should use it, followed by an in-depth look into RWD theory and how these techniques relate to SharePoint 2013. We will then dive into the code and walk you through the process of designing responsive and attractive SharePoint web sites using the latest techniques in responsive web design. This IT Pro track overview session will focus on what's new and coming soon for SharePoint 2013 on-premises - including highlights of SP1. Going further, we'll expose how online and hybrid improvements increase both deployment scenarios and value, this includes upcoming updates and capabilities. We, too, will articulate our on-premises strategy beyond SharePoint 2013. _x000D_ _x000D_ This is a must-not-miss session for any IT Pro! You will receive key announcements, great demos and truly kickoff your week with what's been tailored for you and what's to come across IT Pro sessions, hands-on-labs, post-day trainings and more. All versions of SharePoint to date have bought us closer and closer to a better authentication and security model so that we can securely share content inside and outside of the organization. Understanding the Authentication and Authorization process will help you as an organization to visualize how, when, who and why users are accessing content. Once the core security model is defined protecting the content and infrastructure become the important, especially understanding the entry points that could expose data. In this session we will look at the process of Authenticating and Authorizing Users, Protecting the content and securing the infrastructure so that those hackers out there will think twice before attempting to access your environment. Don't miss the opportunity to hear about Project and Portfolio management (PPM) in the Cloud and how it relates to your SharePoint Online users. During this session, we will talk about Microsoft's vision for PPM in the Cloud and identify the solutions across Microsoft Office 365, SharePoint, and Project. It all fits seamlessly together so you can take a realistic approach to project & portfolio management inside your organization. High Availability and Disaster Recovery are two topics that frequently come up. But how do you architect your SharePoint environment in order to meet these requirements? This session will review what Business Continuity Management is and how to use SQL Server AlwaysOn to achieve these goals. This is a practical demo rich session, with plenty of tips and tricks from real-world deployments. Are you an Office 365 Partner? Come learn about the tools available to Office 365 Partners to help them effectively manage and administer their customers. This includes tools to help Partners perform admin tasks on behalf of their customers, gain better visibility into the service health of their customers and provider better technical support for their customers. This session focuses on the direct-to-customer Office 365 Service Communications rhythm. As an always up to date service, maintaining communication channels between IT professionals and the Office 365 team is critical. Learn how Office 365 service adjustments, upgrades, planned maintenance, and service health are communicated and how to engage with Microsoft. This is a great session to provide feeback, please come with your questions and comments. This session will introduce new compliance scenarios within SharePoint, Office 365, along with the value it brings. We will cover the various aspects of each component and discuss how to access and configure the capabilities such as Auditing, Archiving, eDiscovery, DLP, etc.. We will share several new announcements and put it all into context for where we are bringing together the bridges across product and user experience. Search-driven publishing is alive in SharePoint Online! This includes the Content Search Web Part (CSWP) and Cross-Site Collection Publishing - both enhance the number and quality of search-driven solutions you can build into your sites and portals within Office 365. This session will provide an overview of these new building blocks, provide best practices and focus on how to optimize page load times with queries and take advantage of a new caching mechanism in the CSWP. Your sites will come alive, be dynamic and change the way you provide 'fresh' content to your users. In this session we will dig into the new architecture for Search in SharePoint 2013. We will cover all architectural components, plus discuss the differences between the 2013 release versus FAST Search and search in SharePoint 2010. Microsoft has updated topology models for different sized deployments. This will be presented along with sizing and scaling data for both physical and virtual machines - actionable data you can use to assess and use during your planning phase. We will also cover planning for high availability, backup/restore, and migration. In order to keep your SharePoint environment from becoming used as 'just another file share' there are things you can do to make it more valuable and usable. Understanding how content types work and implementing them in your environment helps you and your users make sense of the content. Add in the benefit of working with Managed Metadata to create and standardize the terminology and your environment will be easily searched, understood, and utilized. This session will focus on understanding content types, implementing them, planning and using metadata term sets, all to help you build richer SharePoint environments. Apps for Officeâ€ is a new technology for extending Office applications. You may have seen exciting Apps for Office in Excel, Word and Outlook. Well, the newest version of this technology is coming to SharePoint apps created with Access. Come see some cool Apps for Office (like Maps and Charts) that extend the value Access web apps. We will show how to build, test and deploy your own Apps for Office as well as how to use those in the Office Store. Learn how Visio and Visio Services, along with SharePoint, can be used to solve complex business challenges like Facilities Management. In this session we will showcase how you can create and share live & actionable facilities management dashboards. This session will also provide guidance on generating reports that can help track key metrics related to Facilities Management. A highly relevant session no matter which industry vertical you are in. Learn about the capabilities provided by the Yammer API and how you can integrate social with your applications. This session will review the Yammer platform features and how you can best exploit these. Weâ€™ll cover usage of Yammer APIs from a Microsoft platforms, and include best practices learned from years in the trenches of the Yammer Developer Network. The online version of Office is evolving and making the Office experience more collaborative than ever. Come to this session to see whatâ€™s new, get a peek at whatâ€™s coming, and learn how Office Web Apps work with the Office applications you know and trust so you and your colleagues can collaborate without compromise on documents, presentations and spreadsheets. Session goes into detail about what is new in SharePoint 2013 BCS discussing the new API, Usages, Security, Authentication and Providers. The session will detail discussions around how IT Pros can set up their own OData Feeds of Company Data detailing implications around consuming and publishing OData feeds that are both Internal and External. We will also discuss how to set up and use Power View Reporting in SharePoint where the data is being fed by BCS against an OData Source. The Seattle Art Museum (SAM) is considered the premier center for visual arts in the Northwestern United States. SAMâ€™s website gets 180,000 unique visits each month â€“ 6,000 per day â€“ and attracts members, visitors and educators, each with their own explore and discover user scenario. In March 2014, SAM is launching a new external website built on SharePoint 2013, proving that art and function go together beautifully. Learn how the SAM website leverages the new 2013 features such as search-driven content, Managed Metadata navigation, and Business Connectivity Services (BCS), all delivered in a fully responsive website. Join SAM in an exciting walk-through of the site and learn how the SharePoint features bring added value to the museumâ€™s mission to educate, inform and be responsive. Come with questions so that you leave the session armed to take full advantage of SharePoint for your own needs. Creating designs to respond and work with multiple browsers and device types has become critical to broad usage and adoption. As we examine the concepts behind Responsive Design, you will learn the best ways to apply this to your SharePoint sites and which challenges you will face. In this session you will receive real world examples of the approach to design and development as well as real world challenges and examples of Responsive Design for SharePoint 2013 and SharePoint Online. Social software is evolving from being a way to simply post status updates, share news and ask questions, to collaborative applications designed to enhance a specific business process such as sales, marketing or engineering. Please join Alan Lepofsky, VP and Principal Analyst at Constellation Research and Steve Novoselac, Technology Director at Trek Bikes in a conversation around Purposeful Collaboration and the business benefits this can provide. The SharePoint Theming Engine is a powerful tool to customize the look and feel of your SharePoint sites without investing in a custom master page. Join two SharePoint product group engineers for a deep dive into some of the lesser-known features of the theming engine; including image colorization, hooking up your site logo to theming, and using custom font schemes and WebFonts. During this session, weâ€™ll show you real world examples of SharePoint 2013 portals that utilize search, personalization and responsive design to deliver engaging user experiences. Weâ€™ll discuss how mobile adaptive and responsive designs can co-exist and how each can be accomplished while utilizing the SharePoint platform. Finally, weâ€™ll discuss best practices in designing your portal for performance and scalability. Discover insights in your data and share them with your team on the go. Infragistics provides mobile access to amazing dashboards while connecting you with your team through SharePoint. From Data to insights â€“ you need to import your data from anywhere to help you find the insights behind the numbers. With stunning dashboards, you need to be able to see what powers your business. Mobile Collaboration - Take those insights and share them with your team. With mobile SharePoint support, you'll have access to all of your documents from your mobile device. Weâ€™ll show you how to simplify Analytics and Collaboration. Whether for employee training, marketing, corporate communication, or customer service, video content is in demand. SharePoint 2013 introduced improvements to video management, but there remain some fundamental challenges with this content type. Video files can be large and unwieldy, there are multiple formats and devices to contend with, and lack of metadata severely limits search ability. In this session, we will demonstrate how to easily extend the out-of-the-box capabilities of SharePoint 2013 to enable a full-featured enterprise video platform with "deep" video search, rich social integration, and highly interactive player experiences. We will also review specific use cases for enterprise video with SharePoint. Enterprise Content Management (ECM), Governance, and Mobile tools are key priorities for every organization small and large. The challenge for IT Professionals is tying it all together into SharePoint, and making sure the solution is functional, intuitive, and scalable. In this session weâ€™ll review ECM and Governance, and then see a live case study showing how to tie these all together in a solution that users can take advantage from whether theyâ€™re in the office, on the road, and regardless of what version of SharePoint is being used by the organization. This roundtable discussion will be hosted by Bamboo Solutions and feature a panel of special guests including world-renowned SharePoint experts.Â Discussing the role of thought leadership, demonstrating its application to SharePoint 2013, and extrapolating on future developments and trends pertaining to the platform and the industry, invited guests include SharePoint MVPs, CEOs, and community leaders who have participated (or will participate) in the SharePoint Leadership Forum.Â _x000D_ Designed to encourage audience participation, you wonâ€™t want to miss this opportunity to add your voice to the SPC discussion and interact with the experts. A hybrid SharePoint environment is composed of an on-premises deployment of SharePoint Server 2013 and a SharePoint Online tenant in Office 365. In such an environment, the SharePoint Server 2013 search index and the SharePoint Online search index typically contain different content. The SharePoint Server 2013 search index may contain crawled content from local SharePoint Server sites, file shares, and other sources. The SharePoint Online search index can contain crawled content only from SharePoint Online sites. A hybrid Search approach enables end users to get and view search results from both indexes from a single search query. In this session you'll learn about considerations when configuring hybrid search, best practices, and deployment and implementation recommendations. SharePoint incorporates some very powerful search capabilities, yet most search projects fail and organizations are still dissatisfied with the state of search within their environment.Â Why? Because they are stuck in the "Search Immaturity Cycle" and lack the essential ingredients for success.Â Organizations that have been successful with search and Search-Driven Applications experience remarkable value with a vastly improved user experience. This session will demonstrate how to strategically approach search initiatives - dramatically accelerating time-to-value, reducing the risk of failure, and reducing the costs of development, deployment and operation.Â Â We will highlight BA Insight's technology and the methodology for the successful implementation of search projects._x000D_ Using a fun, interactive approach, we'll pose a series of challenges and show how to solve them with SharePoint 2013 and BA Insight.Â You will leave this session with a some insights that you can apply immediately, as well as an understanding for how to successfully leverage the BA Insight platform. The Microsoft Business Connectivity Services (BCS) hybrid deployment scenario allows you to securely publish on-premises data to an external list or app for SharePoint in SharePoint Online. Users can then view and edit the data, depending on the permissions they have. In this session you'll learn about considerations when configuring hybrid BCS implementation, best practices, and deployment recommendations. The proliferation of mobile devices, cloud technologies, and collaboration platforms has greatly empowered information workers to create and consume content like never before. As a result, organizations face unprecedented growth in unstructured data, or â€œdark data,â€ in their file repositories and Microsoft SharePoint deployments â€“ containing a treasure-trove of potentially sensitive and unprotected information.Â _x000D_ In this interactive session, weâ€™ll share the strategies and solutions available to gain awareness of the risk and business value of this data. Then, donâ€™t miss the five steps necessary to take control of your data to ensure you have a compliant, well-managed SharePoint environment. In this session we will demonstrate how to transform business processes to improve efficiency at both the individual and enterprise level. Demos will be centered on the browser, SharePoint Designer and Visual Studio to automate review processes with Workflow Manager in SharePoint 2013. We will also provide guidance on how to choose between the various tools mentioned above. You donâ€™t want to miss this if you are a developer! Small and midsize businesses, planning to virtualize their Microsoft SharePoint deployments, require efficient and flexible shared storage and rapid data protection solutions, just like enterprise customers.Â Data backup, replication management, and cost-effective, long-term data retention are especially critical when IT budgets and storage expertise is limited.Â Learn how this reference architecture highlights the instant recovery of Microsoft SharePoint Virtual Machines (VMs), leveraging the integration between Veeam Backup & ReplicationTM products and the HP StoreVirtual Virtual Storage Appliance (VSA).Â This integration also includes the HP StoreOnce disk-based backup and HP StoreEver Tape solutions. Have you ever said to yourself â€Thereâ€™s got to be a better way!â€ Todayâ€™s employees spend a considerable amount of time and energy on routine and manual processes, resulting in decreased productivity and workplace satisfaction. Now more than ever, it is critical for business leaders to find innovative ways to encourage and mobilize their teams to work smarter, faster, and more efficiently. Join Grad Conn, CMO Lead for Microsoft U.S., for a demonstration of how he uses the Microsoft Office 365 Productivity app to automate everyday business communication processes. Grad will share Microsoftâ€™s best practices and demonstrate ideas to help your organization achieve workplace nirvana. As an added bonus â€“ Grad will be giving away Windows 8 Tablet Devices and Office 365 Subscriptions to several lucky attendees! AIIM President, John Mancini, will explore three key information management trends facing the user community: 1) why dealing with information chaos is THE most significant challenge facing businesses in the next decade; 2) the causes and effects of this disruption; and 3) how the governance capabilities in Sharepoint can be used to help users and organizations address the challenges of information chaos. We will showcase the primary objectives Nationwide set out to accomplish with the creation of its award winning consumer-driven intranet, SPOT. SPOT combines the best of SharePoint 2013 on-premises with an actively used, integrated Yammer experience (>30,000 users). The session will focus on early design thinking, product planning, modern development techniques and execution. We will also highlight the benefits to our associates and showcase how our IT product team continuously innovates to further the SPOT investments. We'll show demos, screenshots and have a number of our technical staff on hand for your hardest "know-how" questions. 'The cloud.' Obviously, a significant consideration for every executive, business leader, decision maker and platform owner. As soon as the words are mentioned, there are aspirational visions of the potential for the cloud, concerns ranging from security to data sovereignty to manageability, and there is a raucous hype of promises, fears, uncertainty, and doubt. How can you align the dynamic nature of the cloud with your strategic objectives? How can you drive your business to optimize value and risk? What are the concerns of your peers and what have they done to address those concerns? In this unique session, we will share a thoughtful, business-centric strategic approach to reimagining service delivery in this brave new hybrid world. You'll explore the challenges and benefits of the cloud from a SharePoint perspective, but the prescriptive guidance you take away will help you manage on-premise and cloud services of any kind. In this fast-paced session weâ€™ll look at a spectrum of approaches to driving business value. We will begin with internal wins for overhead reduction and knowledge worker productivity and then explore innovative opportunities for deriving value from external data and delivering actionable insights. Examining a variety of industries and stages of SharePoint maturity, we will highlight strategies and company examples demonstrating business growth through application of the SharePoint platform. In almost all collaborative environments there is the need to repeatedly create sites based on some sort of template. Web Templates provide a great way to create templates for sites in SharePoint, both for on-premises environments and Office 365. In some cases though, using a programmatic approach to creating new sites might be a more sustainable approach. In this session several different site provisioning techniques will be explained and compared and examples of the best approach in different scenarios will be discussed. This session will focus on why organizations realize that they have to rethink their work and communication styles to stay competitive. They must become more responsive to an ever-changing environment and their fluctuating customer needs. Innovative companies assess their own workplace, encourage employees to act beyond their job descriptions, and then empower individuals to be creative and collaborative beyond the normal work routine. This session will uncover the simple secrets to becoming responsive in this new era of business. Update: Microsoft's guidance about app updating has changed since this video was made. The video is still valuable as an overview of the process and how your update logic should be designed. However, you should disregard particular details of code and XML markup. Some of it is no longer recommended. Instead, see the MSDN topic "App for SharePoint update process" and it's child topics. Laura Rogers is a respected SharePoint professional who's been empowering people with no code solutions for many years. Join her as she shares with us her perceptions of the future of no code solutions and how she approaches getting business value to her customers quickly and easily with SharePoint. Get more information by checking out her session SPC215 and reading her blog. This session was hosted by Karuana Gatimu of Microsoft IT. Guests Alex Pearce of BFC Networks and educators Lou Zulli and Alan Crawford share with us their stories of what Office 365 is doing for students in all areas of education. With over 110 million seats of Office 365 given away for free students are getting real world experience in tools that will help them land jobs in the future. Hear educators Lou and Alan talk about their plans for an international alliance between their schools with Office 365 tools to further the educational goals of their students. E2 plans of Office 365 is free to educators. Get more information and register for your free licenses at bit.ly/spctvschool. Hear more in SharePoint Conference sessions #SPC2994 and #SPC2016. Women in SharePoint is a powerful organization that provides career mentoring, support and camaraderie to women in the SharePoint technology space. Founded 4 years ago, Women in SharePoint events don't exclude men but instead provide a place where "iron sharpens iron" as said by one of our guests Advisory Board member, Jennifer Mason. All levels of SharePoint expertise are encourages to participate. Joined by Board members Cathy Dew, Lori Gowin and Advisory Board member Mirjam van Olst hear the story of their growth, challenges and upcoming events. The SPYam Yammer network is a vibrant place to discuss everything SharePoint and beyond. Founded by Joel Oleson and Noah Sparks it was one of the first Yammer networks dedicated to our space. Naomi Moneypenny joins us as we discuss its history and future in this segment. To join the conversation click through to the SPYam network. This segment was hosted by Karuana Gatimu of Microsoft IT. Join the Houston SharePoint User Group organizing committee including Theresa Eller, Troy Lanphier, Naomi Moneypenny and Mark Freeman as they share how they have built and managed a successful SPUG. With two simultaneous tracks and little sale pitches they embody best practices in SharePoint community. If you are in the local area get involved at H-Spug.org. Jeff Medford of Microsoft visits SPCtv to discuss how we've captured our years of learning in cloud deployments into FastTrack.Office.com a free deployment guidance site for moving ot the cloud. Starting small and increasing complexity over time allows organizations to see immediate benefit from Office 365 while minimizing risks. The power of the suite is unlocked in a practical manner so people can get hands on experience with the tools. Yes, its true. The future of forms is changing along with many of the solutions in our space. What has not changed is our need to land valuable business solutions. Join Sonya Koptyev (Office 365 team), Greg Lindhorst (Access Team) from Microsoft and MVP developer Corey Roth as they share a product group and developer perspective on this changing landscape. Get an overview of the new solutions and Microsoft's plans for the future. InfoPath will remain supported for ten more years but we have some new decisions to make when selecting and implementing forms. Most important the Microsoft product teams are listening to their customers. You can submit feature requests and vote on those submitted by others at OfficeForms.UserVoice.com. Learn more about these insights in conference session #SPC348 and visit Corey's blog. Join Christian Buckley, Jeff Shuey, Ro Kolakowski and Barb Campbell as they discuss the benefits of participating in the International Association of Microsoft Channel Partners (IAMCP) group. Connections, collaboration and education are just a part of what local chapters offer. Barb discusses the Women in Technology group within IAMCP. If you are any size partner this segment is for you. Visit the website IAMCP.org to learn more. SharePoint community is global. Debbie Ireland, Brendon Ford, Brian Farnhill and Elain van Bergen join us to share their experiences building community in New Zealand, Australia and other locations. Their portal SharethePoint.com serves as a home for their SPUG's and their upcoming conferences in July. Their close knit community provides a hub for speakers and education across a vast amount of distance. Their site provides central funding and a home for user groups in the area. Learn about the unique Chicago SharePoint Developers User Group that was co-founded by Doug Hemminger and other dedicated community leaders. Doug and team have created a environment where developers education needs are met without detracting from the sister Chicago SPUG. Follow them on Twitter at @CHDevSpug to learn more. Follow the Twitter tag #RealWorldIT to learn more. Guest John White (@diverdown1964) CTO and Co-founder of UnlimitedViz discusses the roadmap to understanding and implementing BI with the new stack from Microsoft. Learn about the power, capabilities, and new features with Business Intelligence in SharePoint, Office 365 and the BI stack including PowerBI. John helps customer to weave their way through some of the complexities of this space to landing early business value that creates a hands on experience of the new tools. In this session we'll talk to the organizers behind the SP24Conf community and its upcoming conference. This will be a global 24 hour virtual conference with speaker from all levels of SharePoint expertise, completely free for attendees, to view in their own time zone. Guests Stefan Bauer (@stfbauer), Matthis Einig (@mattein), Vlad Catrinescu (@vladcatrinescu) and Paul Gallagher (@spgally) discuss the reasons they selected this unique format. During this session the SharePoint-Community.net founders will share the story of how their community grew from 0 to 5500 members in just under a year. They share the tips and tricks on how they managed to build this great community as well as share general community building tips. Their global, interactive site is home to all levels of SharePoint members who ask questions, learn about SharePoint and contribute to each other. Listen to the organizers of SPS Events (formerly SharePoint Saturdays) talk about the changes to the SharePoint community and their organization. Their new site links SharePoint community members around the globe to content, best practices and people in their local area who are enthusiastic about SharePoint and continuing their education. SharePoint Saturday events are free to attendees, sponsored by great companies within the industry and both in person and virtual. Thanx to Eric Harlan (@ericharlan), Susan Lennon (@susanlennon) and Tasha Scott (@tashasev) for joining us from the floor of SharePoint Conference 2014 in Las Vegas, NV. September 3, 2013 SharePoint Conference 2012 Sessions are now posted online for free! Vlad, sorry I missed you at the conference! As great as it is to have the videos on Channel 9, it does call into question the value of actually attending – There is a huge amount of social networking that happens, but that could just as easily happen with the exhibit hall pass for a few hundred dollars vs the full price pass. I wonder if this will impact attendance at the next one. I don’t know how we missed each other :(. However, I am glad you asked this question as I asked it as well in the past! TechEd has been doing this for years and it hasn’t hurt their attendance, so I cross fingers it’s the same for SPC14 :).